Father’s Day is right around the corner; June 16 to be exact. So, I&apos;ve got some ideas for gifts and experiences for dear, old dad right here in Hendricks County. There’s a lot to do in Hendricks County, and these are a handful of ideas that should make the father in your life (dad, husband, brother, grandpa, uncle) a happy guy on Father’s Day. I&apos;ve included places where you can buy a gift or have a memorable experience. Many of the ideas below are very budget-friendly and some are free. Here are my top 6 Father&apos;s Day ideas in Hendricks County. 1. Chateau Thomas Winery, 6291 Cambridge Way, Plainfield, Indiana For: The gourmet guy you know or the wine drinker who wants to learn more about wine. It&apos;s grilling season, and wine goes perfectly with steak (hint, hint!). Newbies and aficionados will enjoy spending time and sampling wines at the tasting room at Indiana&apos;s award-winning Chateau Thomas Winery. 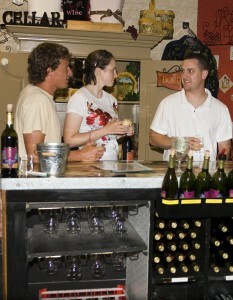 It&apos;s only $5 a person to sample (around 6 wines) and learn about wines. My dad&apos;s a fan of the "Chateau Big Red." If you&apos;re not a red wine drinker, try the Classic Chardonnay. *Want to know more about Chateau Thomas Winery? I took my parents and wrote about it here. 2. Gear Up Cyclery, 124 W. Main St., Plainfield For: The guy who rides his bicycle to/from work or who cherishes his Saturday mornings exploring Hendricks County by bike. 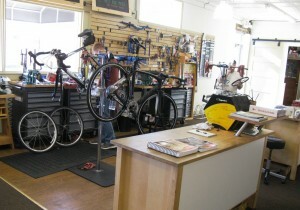 You&apos;ll find all kinds of bikes and accessories at this impressive, specialty bike shop for the casual or serious rider. There&apos;s even an on-site bike repair shop! Stop in and learn more about the best bikes out there and pick up a set of Hendricks County Bike Maps ($19.95 for 12 maps), with turn-by-turn directions and routes from Plainfield to Danville, Avon to Pittsboro, and more. Here&apos;s a perfect opportunity to explore Hendricks County by bike. Don&apos;t forget it&apos;s all about the journey. My dad enjoys cycling and gave his thumbs-up approval to Gear Up Cyclery. You can read about my visit here. 3. Go Golfing in Hendricks County Where are the courses? Click here for a list of courses For: The serious golf fan who watches, plays and breathes golf (knows every line of the movie, Caddyshack), or the guy who just enjoys playing a round of golf every now and then. 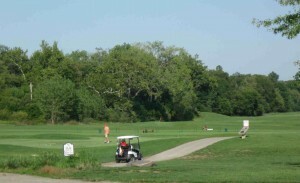 Hendricks County&apos;s 10 golf courses (public and private) will please any golfer out there. You can read about my visit to Twin Bridges Golf Club in Danville or my visit and interview with the golf pro at West Chase Golf Club. Tip: Lessons with a golf pro are always a good gift. 4. Lucas Oil Raceway, 10267 E. U.S. 136, Brownsburg For: Racing fans. 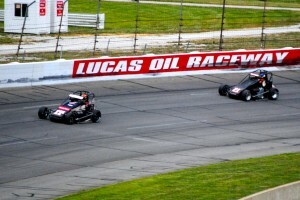 My dad&apos;s a racing fan, and we&apos;ve really enjoyed races at Lucas Oil Raceway, including the NHRA U.S. Nationals (Aug. 28-Sept. 2), and the Winged Sprint Car Series (June 29). Get your tickets and enjoy an evening of speed. Don&apos;t forget upcoming Slamology (June 15-16). Eric gives you all the details about that event here. 5. 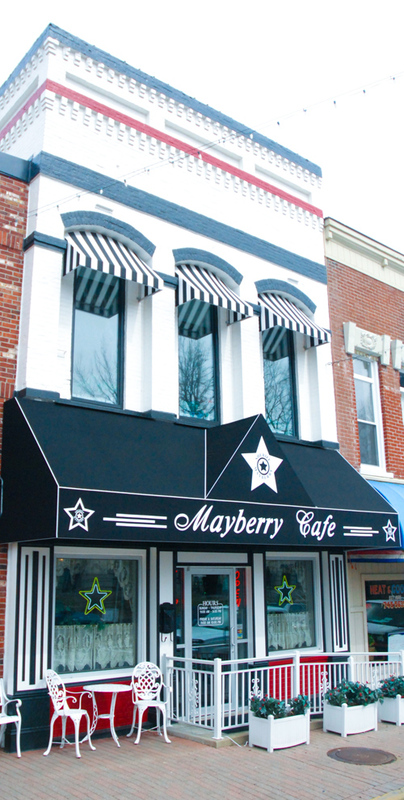 Mayberry Cafe, 78 W. Main Street, Danville For: The Andy Griffith Show fans like my dad (who grew up in North Carolina) or anyone who likes down-home, country food in a fun setting. The Mayberry police cruiser parked out front sets the tone at this all-things Mayberry restaurant located in the heart of downtown Danville. Visitors from all over come for lunch or dinner served up with a side of The Andy Griffith Show nostalgia. Back-to-back episodes of The Andy Griffith Show play on TVs in the restaurant, so it&apos;s perfect while you&apos;re enjoying comfort food classics like Aunt Bee&apos;s Famous Fried Chicken. 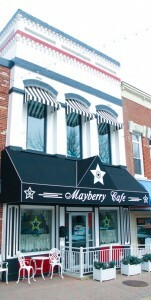 Read more about the Mayberry Cafe here. 6. Park & Play (& Fish) Where are the parks? Click here for a list For: The guy who likes to stay active and be outdoors as much as possible. 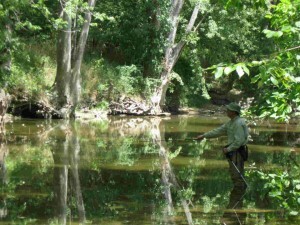 Visit one of Hendricks County&apos;s parks like McCloud Nature Park where you can get away from it all and go fly fishing or stop at Brownsburg&apos;s Arbuckle Acres Park for a game of basketball or tennis. There are many more parks and outdoor activities in Hendricks County, and you can check here for a list of ideas. What are your Father&apos;s Day ideas or plans? Leave a note in the comments with your gift ideas and favorite places to spend Father&apos;s Day. You can also comment on Visit Hendricks County&apos;s Facebook page. Aimee enjoys cooking, going out to restaurants and traveling. In her spare time, she writes the blog, Indianapolis Amy. She resides on Indianapolis’ northwest side and is excited about getting to know Hendricks County.